Simply Raw Milk is currently unavailable. The reason for this is that the tenancy on our farm over many years has now sadly come to an end and we have so far been unsuccessful in finding a new dairy farm to continue supplying Simply Raw Milk but are continuing our search. White Horse farm has been approved by the FSA to supply Raw milk. It would be wrong however for us not to tell you that the milk is unpasteurised. Pasteurisation was introduced in the 1800’s to kill the bacteria that might be present and to give it a longer shelf life. The processing of shop bought milk is such that it is heated quickly to about 70 degrees for 30 seconds and then it is cooled rapidly. This process is designed to kill any bacteria that might be present. We know there is a small risk with most things in life, and that applies to unpasteurised milk as well, and while the processing of milk will sanitise it also reduces many of the benefits of real raw milk. Some of our beautiful girls grazing on our rich pastures. 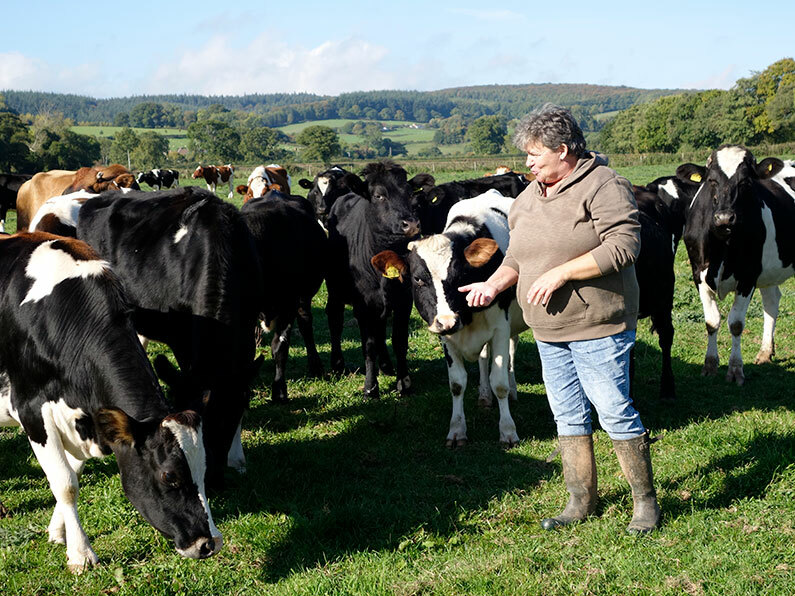 Sue is passionate about the welfare of her animals and ensures they have plenty of beautiful pasture space to graze. 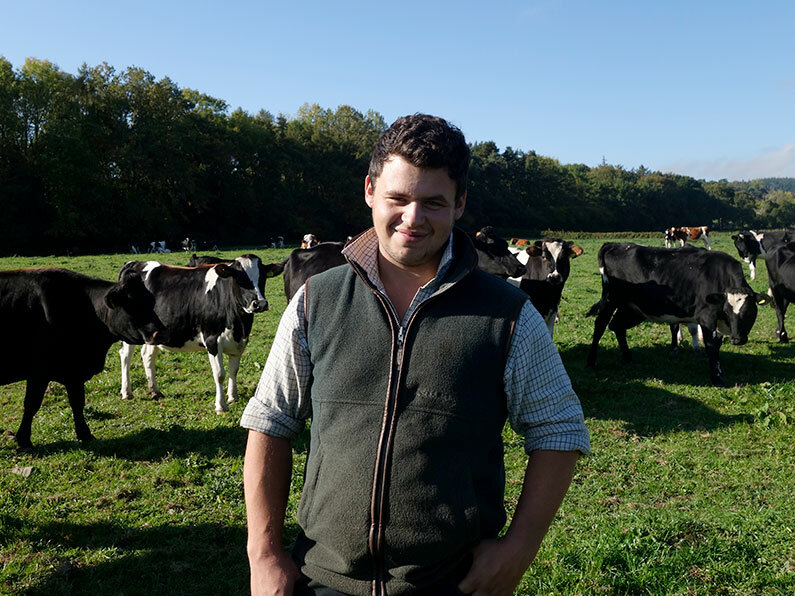 As a young farmer, he is enthusiastic about developing the business and knows that comes from happy cows and high levels of farm management and cleanliness. 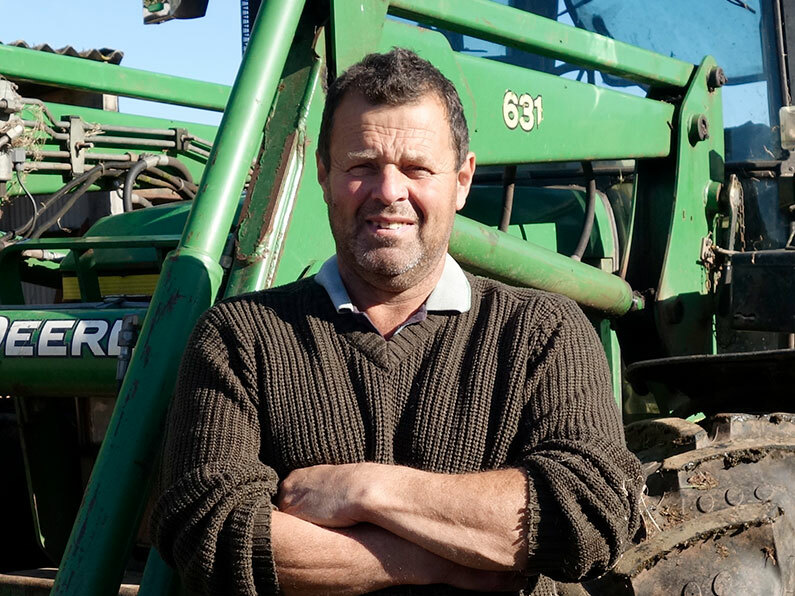 Andrew a farmer all his life, most of that as a dairy farmer. He cares passionately about the welfare of the herd. Where can I purchase Simply Raw Milk? What size bottles does the milk come in? For your convenience, the Simply Raw Milk comes in handy one pint, one litre and two litre plastic bottles. All our beautiful cows are free range, and naturally, grass-fed during the summer and mainly fed on silage during the winter when they are kept inside. We are not classed as organic, however, we manage the farm in the traditional way. How often are you tested? 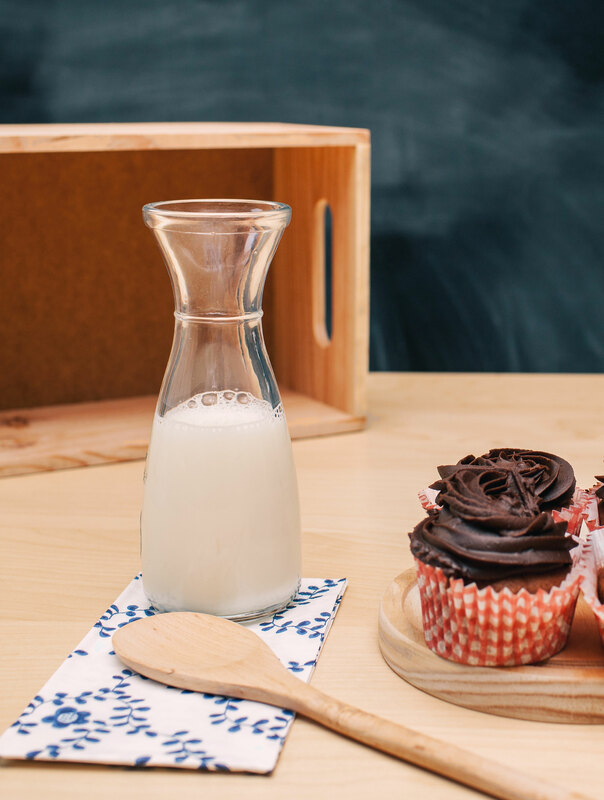 We are licensed by the Food Standards Agency to sell Raw Milk, and they take samples and conduct laboratory tests of the milk every three months. The test they carry out is the Total Viable Count (TVCs) of any bacteria present and a Coliform test to discover how clean the milk is. To ensure the quality of our milk meets the highest standards we have the milk tested weekly for TVCs, Coliforms and the overall cleanliness, and monthly for Pathogens. 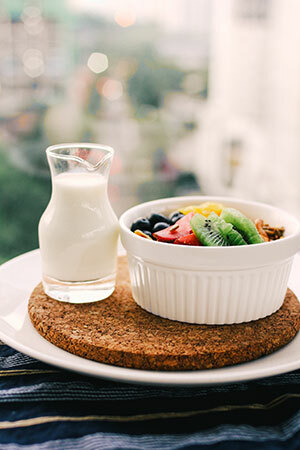 Independently every other day, the milk is scientifically tested for cleanliness and quality by one of our bulk milk customers. Our cows are tested for TB and as a herd have been clear for several years. We also periodically have the milk produced by each cow scientifically tested for its Somatic Cell Count (SCC), a test for Pathogens, this is a good indicator of milk quality and health of the cows. How long does you milk keep for? Our milk is bottled each day and labelled with a 3-day date, however, some customers have reported it keeping for longer as long as it is kept refrigerated. Remember the milk can be frozen, in its plastic bottle, it should be defrosted in a refrigerator and consumed within three days. Where do you deliver to from your online shop? We deliver from our online shop to England, Wales and Scotland. However, the Highlands and Islands will incur a delivery charge, to be paid prior to despatch. Fabulous milk – tastes just as milk should. It’s delicious and absolutely the best thing for refreshing and replenishing after a morning on the river ! Took me back to childhood when staying at my gran’s … her cousin delivered his farm raw milk by tractor! Hi Sue, I discovered your milk by accident and what a surprise it is absolutely delicious. Hello, I wanted to let you guys know how much I enjoyed your milk, my dad very kindly brought myself 4 pints from yourselves at Taunton market, it was delicious, just like milk should taste, I have recommended yourselves to everyone I know, will buy some more soon. 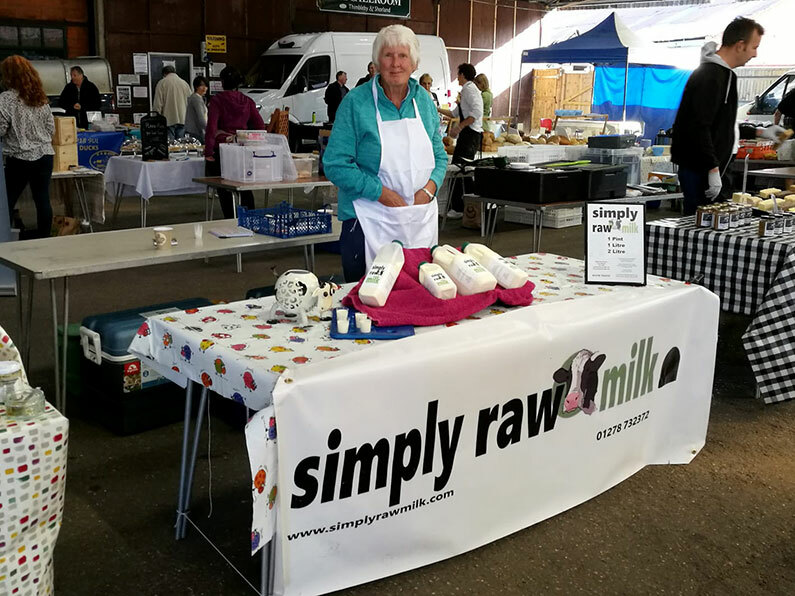 Rose manning our stall at The Reading Farmers Market, where many people travelled from many miles to be able to buy their supplies of Simply Raw Milk. Demand was so high that we sold out we will take more supplies in the future. The Stand here is manned by Sue and Rose from Simply Raw Milk. You can find us here at Reading Farmers Market on the 1st and 3rd Saturday of every Month. 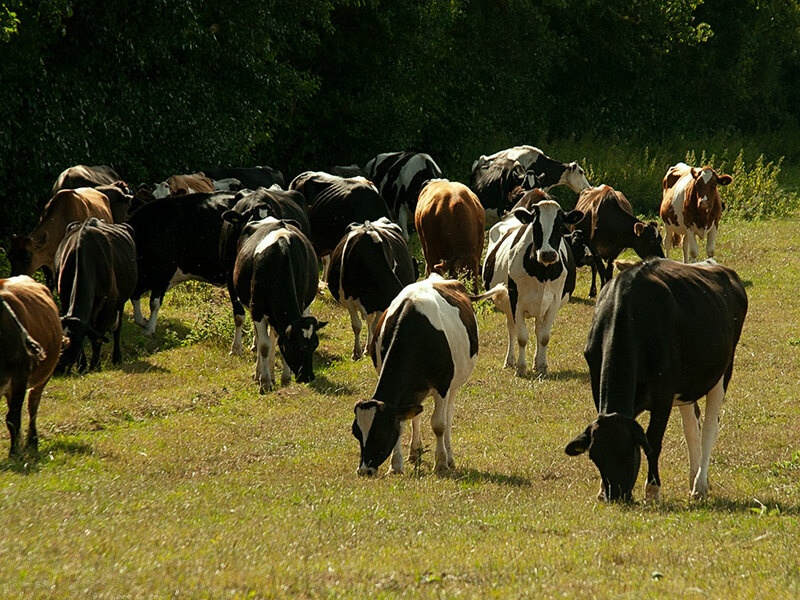 Raw Milk – Simply Raw Milk direct from the farm.